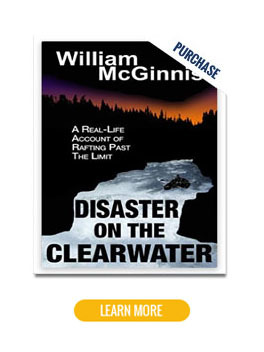 A California native with a Masters in English literature, William McGinnis has written numerous books including “Whitewater: A Thriller,” “Whitewater Rafting,” “The Guide’s Guide Augmented: Reflections on Guiding Professional River Trips,” and “Sailing the Greek Islands: Dancing with Cyclops.” Named a top “Paddler of the Century” by Paddler Magazine, McGinnis has rafted all over the world, pioneered a number of popular whitewater rivers in California, and inspired a now widely practiced, supportive, holistic philosophy of guiding and trip leading. 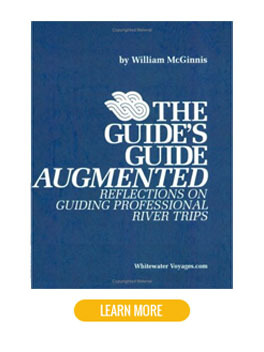 In addition to writing, Bill’s passions include sailing, wood working, swimming while listening to audiobooks, and exploring new paths to adventure, friendship and growth. 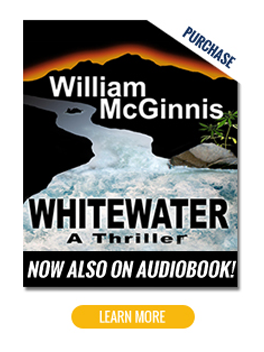 He lives across the bay from San Francisco in the small town of El Sobrante. 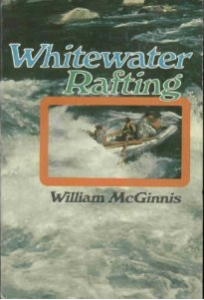 It was interesting reading about rafting and equipment from the 70s. It’s amazing how it has changed since then but for the most part what he writes still holds true.